Manuel Allhoff, Kristin Seré, Heike Chauvistré, Qiong Lin, Martin Zenke and Ivan G. Costa. 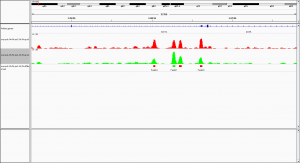 Detecting differential peaks in ChIP-seq signals with ODIN. Bioinformatics, 2014, DOI: 10.1093/bioinformatics/btu722. We do not use the ‘-m’ option to merge potential differential peaks. 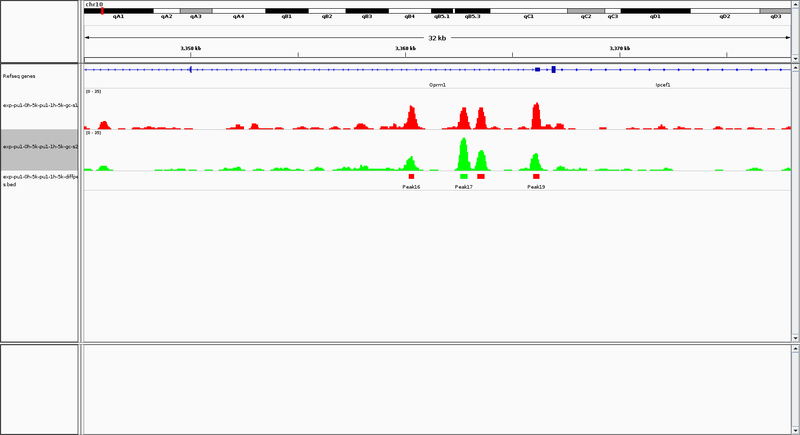 This is only recommended for histone data with broader ChIP-seq peak profiles. To download the chromosome size file mm9.chrom.sizes, follow these instructions. The file is contained in the example files as well. exp-pu1-0h-5k-pu1-1h-5k-uncor-diffpeaks.narrowPeak gives the same information like above, but without corrected p-value. filter-ODIN: filter *diffpeaks.bed by p-value threshold and write to stdout.